Food is reinvented to cater to the people in the locale. As they say, when in Rome…cook food that the Romans would enjoy eating. I enjoy eating Chinese food in America. It is so unlike the Chinese food in the UK. The sweet notes please my Filipino palate. I like the fact that ketchup and mayonnaise are in their ingredients list. 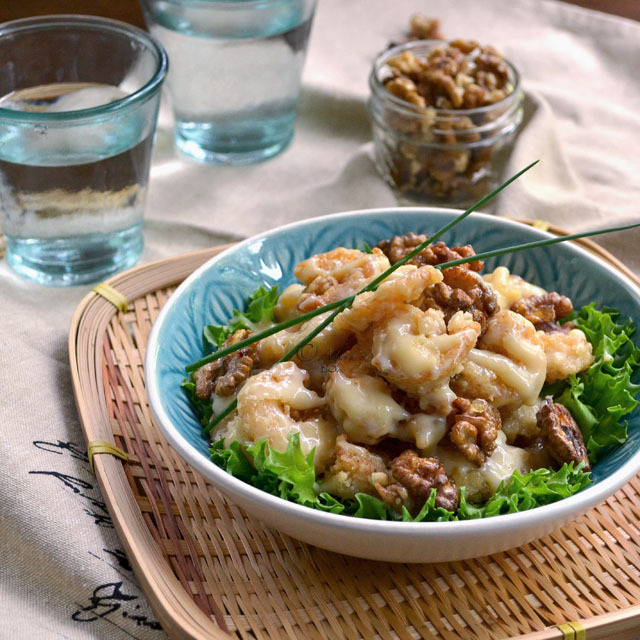 I first encountered honey walnut shrimps in a Chinese buffet in America although it apparently originated from Hong Kong. Loved it! 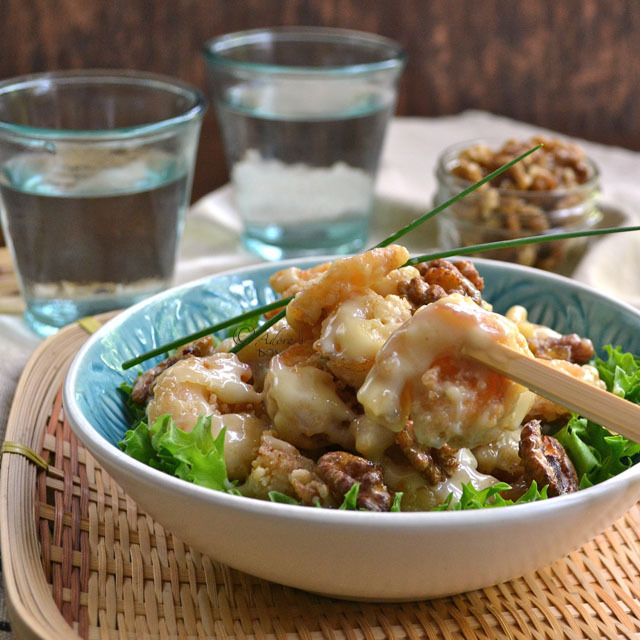 A sweet dressing on fried shrimp may not be to everyone's liking but this dish was probably invented by someone with a sweet tooth who put everything that he liked eating in one dish. That totally makes sense to me. 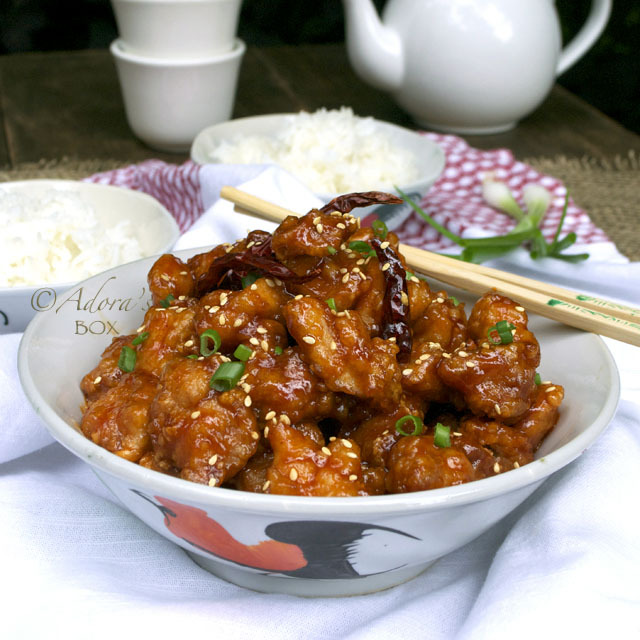 A balance of sweetness and saltiness in a dish is always delicious to me. 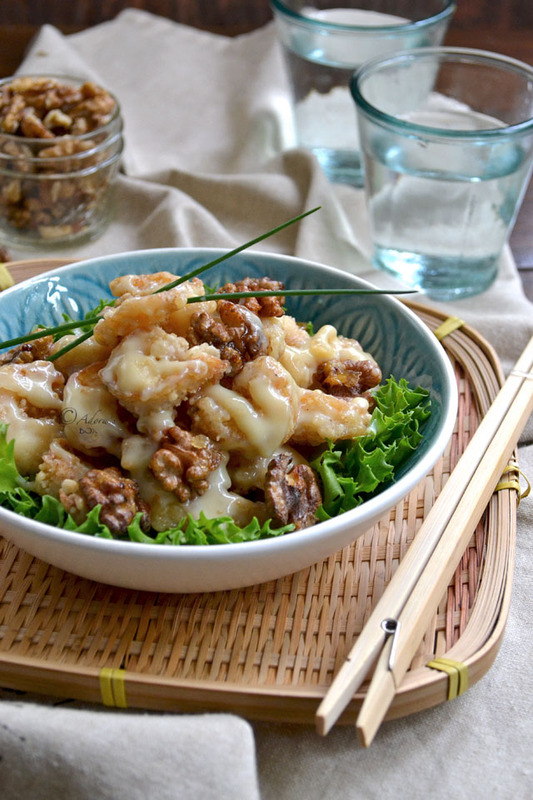 Cooking honey walnut shrimps at home made a far superior dish. I chose bigger tastier shrimps and that in itself jacked up the taste so much. 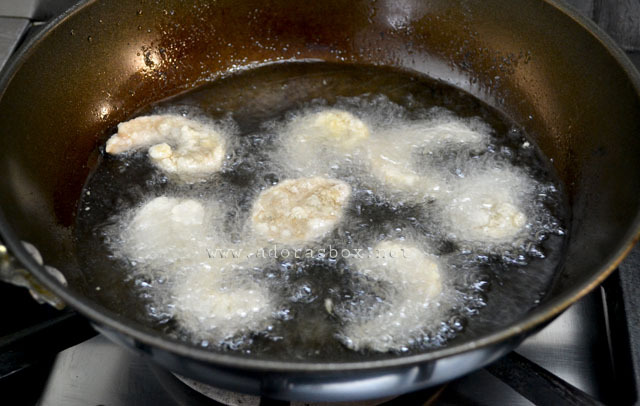 The fried shrimps were crispy, as they were dressed quickly and served as soon as they were cooked. They were not gloopy nor did they stick together. Although this would easily serve four, I suggest extras be made as they go really fast. 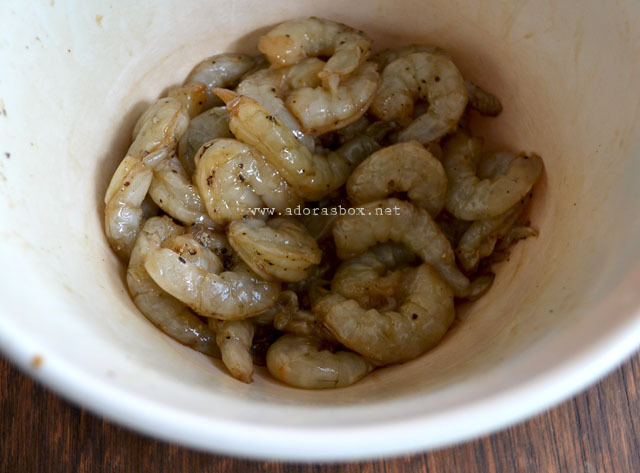 Season the shrimps with the salt, pepper, light soy sauce and sesame oil. Set aside for 10 minutes. Strain the shrimps to remove excess liquid. Add in the egg white to the shrimps and stir very well. 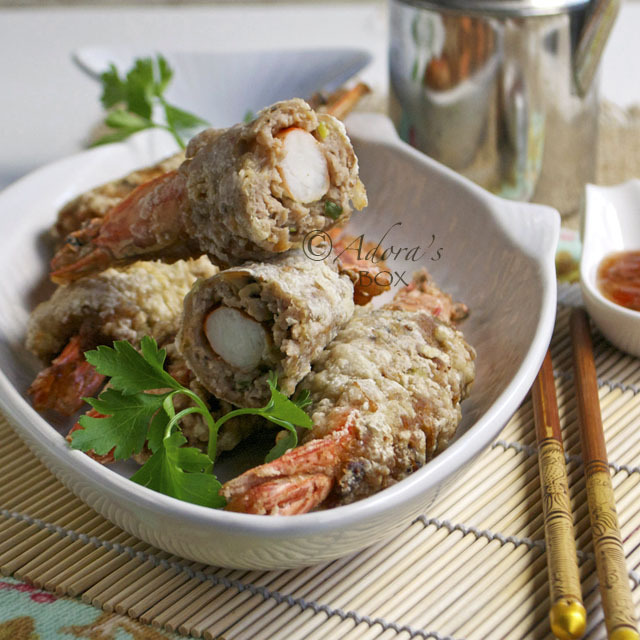 Shake off the excess egg white then coat each prawn in corn flour (corn starch). Shake off the excess flour. Heat up a pan or wok and add in an inch deep of cooking oil. 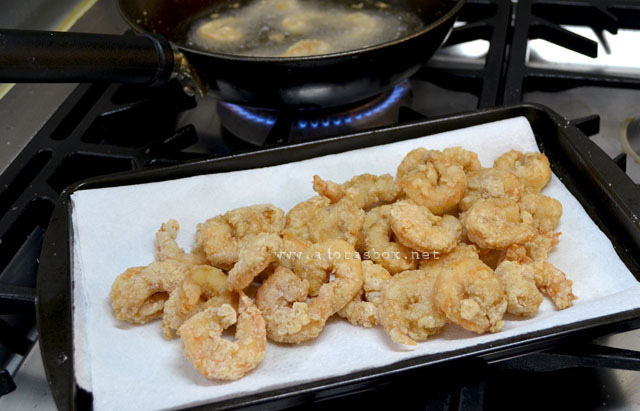 When hot, fry the shrimps a few at a time on medium heat for 1 minute. The shrimps should have a crispy crust and a juicy center. Do not overcook. Put the honey in microwave safe bowl and heat up for 15 seconds to make it runny. 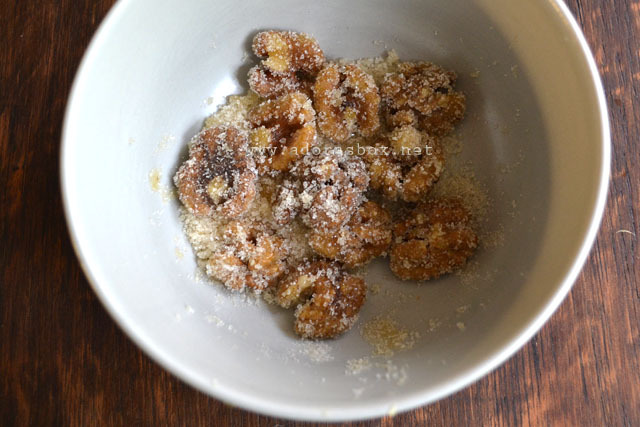 Take the walnuts out of the honey and coat with sugar. Heat up a small pan and add 1/2 inch deep of cooking oil. When the oil is hot, switch the cooker off. Add the walnuts to the oil and stir. This has to be done quickly, just to set the sugar. 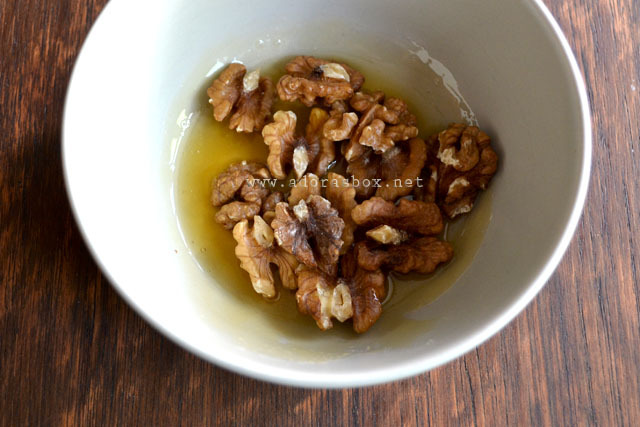 The walnuts burn easily so take care in doing this. Take the nuts out with a slotted spoon and transfer to a tray lined with non stick baking paper and leave to cool. You will also need lettuce leaves to line the dish. 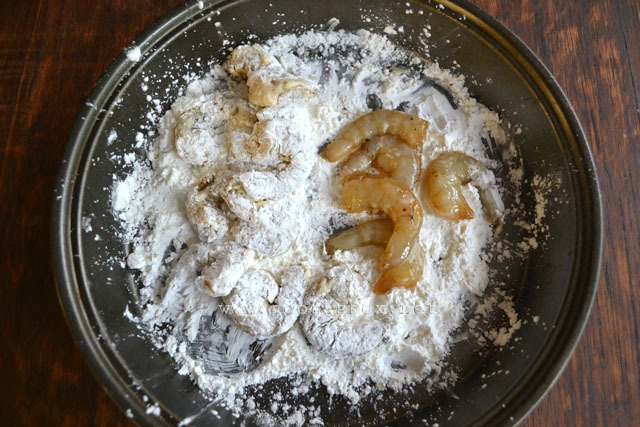 Put the fried shrimp in a bowl. 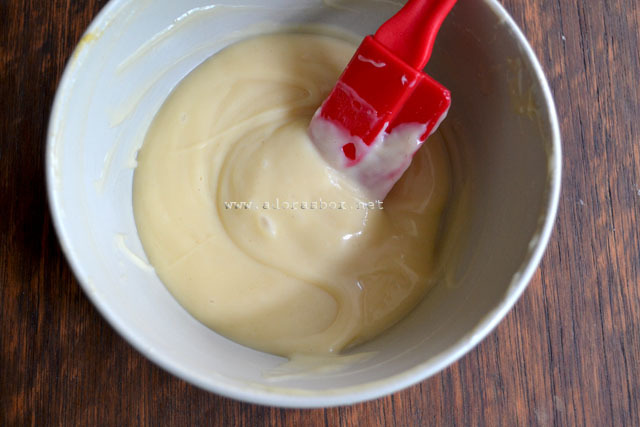 Add the dressing and mix. 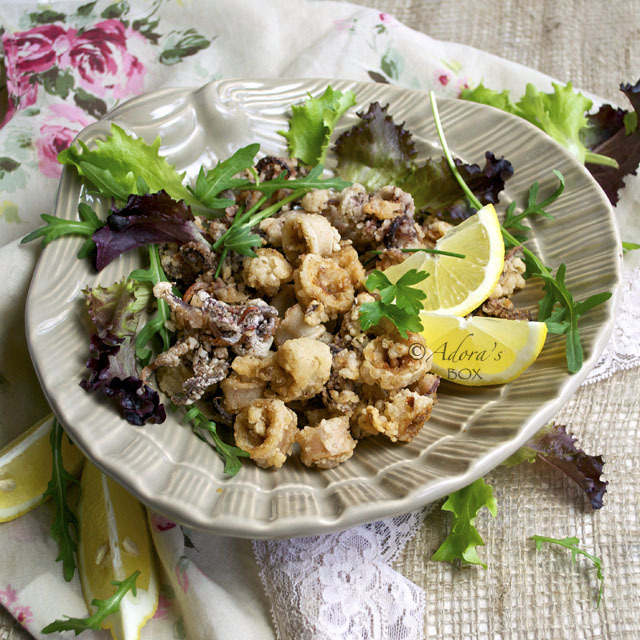 Transfer to a serving dish (or four individual dishes) lined with lettuce leaves and top with the honey walnuts. Indeed, traditional food are now being more or less change and alter to suit to the locals in respective countries. 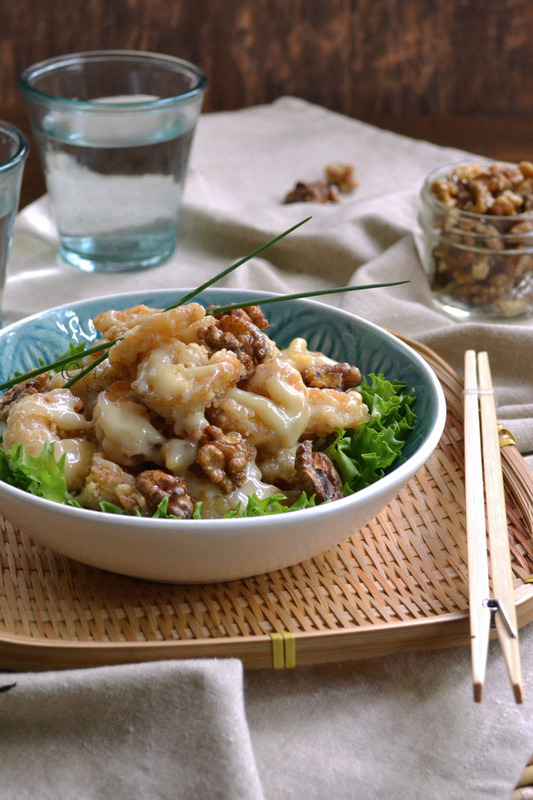 This walnut prawns sounds really good to me as I never use walnut in cooking dishes other than make cakes or desserts. Is that a chopsticks near your plate? It look like a peg....how special.... hehhee....never seen anything like this. I've never seen this dish before at any Chinese buffet, but then I haven't been to a Chinese buffet in over 20 years. :) What dish! Love of texture and lots of flavors. Thanks for introducing me to a new dish!